Leaders aren’t only found in Fortune 500 companies or (gasp) political parties, they can be found anywhere. Everyone has the capacity to show the qualities needed to make a great leader. It is just whether we develop these leadership muscles or not. Being liked is always nice but it’s certainly not a requirement to be respected. 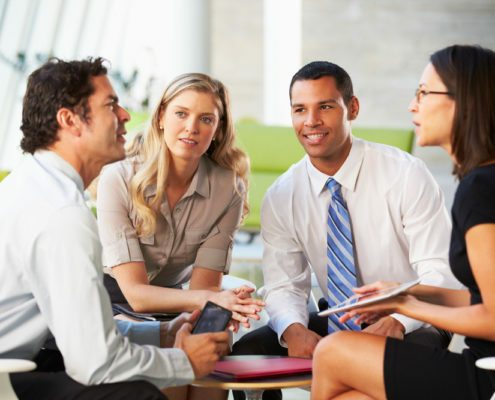 Regardless of your position or your title, leadership traits have the ability to influence others towards achieving their goals and creating a work environment where people can really enjoy working together. Becoming a leader can be difficult as there are some organic qualities you need that can take time to develop. If you really desire to step into bigger shoes and to become a leader, these recommendations will help get you on your way to being a great one. 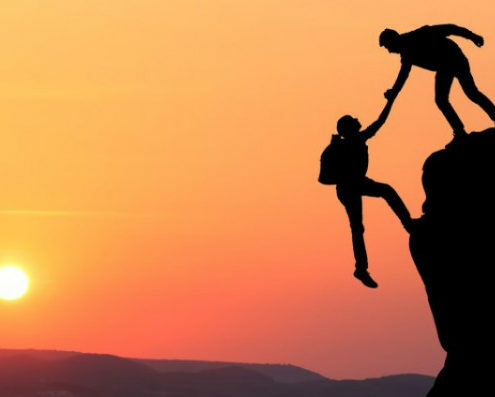 Building Trust: Teammates and employees need to know that you will support them in the decisions they make and that you show a genuine interest in their well-being. This helps show that, not only do you care about them, but you are also willing to protect them. Building trust helps show your team that their goals will never take a back seat to your own interests or motives. What kind of methods can you use to build trust? Take the time to learn something about them, not work related. Build rapport with your teammates. Involve them with decisions to show that their input is valued. Make yourself available to them. Reach out to them! Recognize and appreciate the contributions they make. Coach Instead of Manage: Being a great leader means you’ll need to be a great coach. Coaches can be seen as people who can provide adjustments and feedback without people feeling hostility towards them. Leaders will help present the possibility of a future that can inspire people and coaches help inspire those people to take action. Your role as a coach is to be encouraging and motivating and to build confidence in your team. 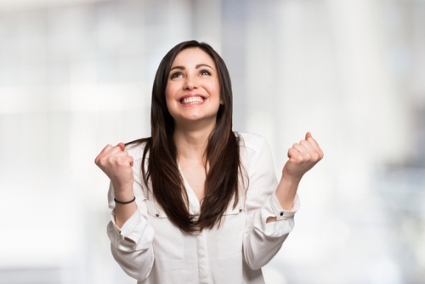 Be sure to reinforce any positive behaviors that are demonstrated with recognition. It can go a long way. In our network marketing businesses, remember this is a “Volunteer Army”. We aren’t anyone’s bosses in this business and sometimes you need to let people do things their way. Remember, they are stretching their leadership muscles too. Utilize a Mentor: It’s always helpful to have someone that YOU can go to that already possesses strong leadership skills. 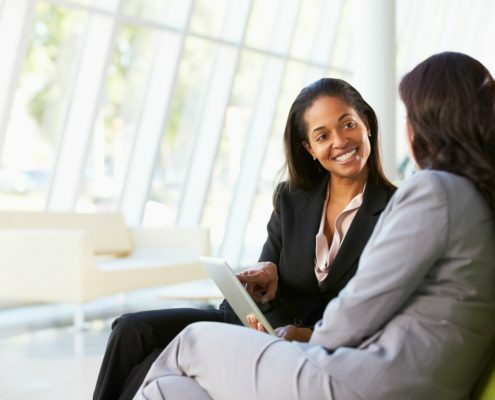 It won’t be too often that someone will just come out and offer to mentor you, so you will most likely need to seek one out yourself. Try to find someone that shares similar values with you and select one that you get along well with. Someone that is different than you and that has what you are looking for. Then when you are faced with those tough decisions, try to picture how your mentor would approach the scenario and arrive at a decision. This can often help put you on the right path. Act like they would and you will soon become more like what are you seeking to be! Show Confidence & Take Responsibility: As a leader, you will need to make some big decisions and stick by them. You will need to be confident that the decisions you make are the right ones. There’s no room for you to waiver on tough calls. The decision could end up being wrong, but it needs to be decisive. The worst decision is NO decision. You can always adjust and you will know soon enough if it isn’t the right decision. Always stay ethical and honest. We only have one reputation and one bad decision can take that away from you in a heartbeat. The golden rule applies in network marketing too! If you make a mistake, ensure that you own up to that responsibility. Make sure that you are willing to discuss with your team and the decisions they make when you know something is going on that shouldn’t be. It’s important to support and assist your team but to also give them the confidence to make decisions, take risks and speak up. Encourage your teammates to create great relationships with their own teams, with their uplines, and with the corporate management. These relationships are worth their weight in gold in our business! By helping to clear obstacles for your team, you clear a path for them towards creativity, innovation, and empowerment. You need to be sure to get their input. Make you are providing your team with what they need to achieve success. If they’re already meeting or exceeding their own expectations, make sure to encourage them and guide them as necessary, always recognizing their contributions and positive aspects! We are all a work in progress. If you focus on the positive, so will they! Here is to your leadership style and success! P.S. 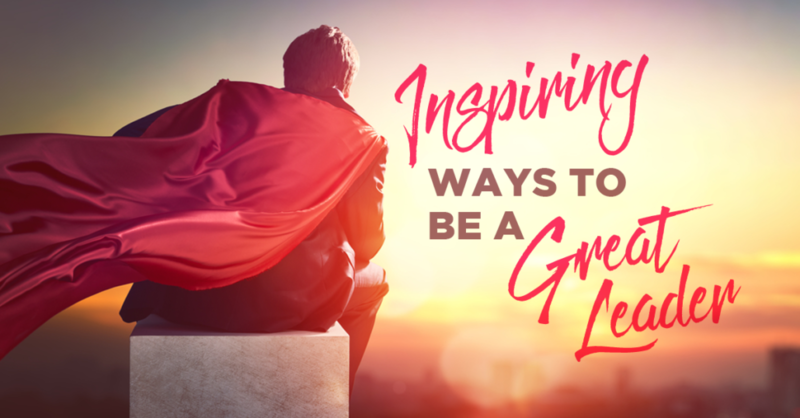 I hope you found my article insightful on Inspiring Ways To Be A Great Leader. If you liked this blog post, I think you will love my blog post on Creating Personal Presence. Everyone is looking for ways to increase their productivity, feel more confident and just feel a greater sense of happiness on an everyday basis. One of the real secrets and one of my favorites to making this all happen for you is by establishing a morning ritual. The saying is by winning the morning, you will win the day. The first moments after you wake up can determine how your whole day will go. If you tend to wake up with feelings of stress, negativity or just plain tired, then chances are you won’t be enjoying the rest of your day. If you believe this to be how you start most of your days, you’re not alone. It is hard to believe but most people tend to start their day feeling negative. They will start their day trying to react to everything they feel they haven’t accomplished. Or that to do list is running through your head first thing! Or your first thoughts might be what you forgot to do the day before. You can feel sluggish until you get that caffeine boost from one or two (or more) cups of coffee. In order to feel a change, you need to make a decision. It is good to take a few moments when you first wake up and think positive thoughts like – What do I get to do today for the sheer joy of it? What do I have to be truly grateful for? Or what is the best thing that happened yesterday? I thought I would share with you seven simple rituals that we all can do and will help give you that energy you need for every day. Make Time for Gratitude: I recently blogged about showing gratitude and asking yourself on a regular basis “what are you grateful for?” This one question can leave a great impression on your entire day and the earlier you ask the question, the better your day will be. Taking the time to write down and think about the things that you are grateful for can provide you with that positive attitude to help you tackle your day. How we choose to view things sets the tone. 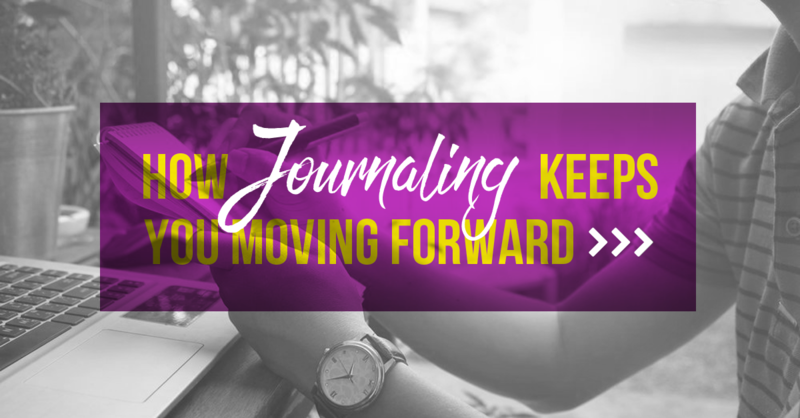 You could keep a gratitude journal on your nightstand and whether you take a moment at the end of the night or first thing in the morning to write down what you are grateful for – either way, you will feel lighter for it! Drink Water: Keeping yourself hydrated goes a long way to taking care of your body. When you wake up, your body is dehydrated and needs water. During that first hour of waking up, try to drink good old fashioned water! Drinking water will help your body wake up and you will feel more invigorated. Who knows? You may not even need to rely on coffee anymore or not as much. Get Up, Get Moving: Nothing will start to get the blood flowing like physical activity. Emotions are connected to how we use our bodies which makes it even more important that we use it to prepare for the day every morning. Do some stretching or yoga or go for a walk first thing in the morning to wake your body up and provide you with the energy for a more productive day. All of those types of exercise have the added benefit of being meditative too. Feed Your Mind: What do most people read in the morning? The newspaper. Unfortunately, most of the news that we read or watch on television is negative and this can affect your mood. I often take news fast. It is embarrassing sometimes because I may not know to the minute the biggest and latest news, but I feel more grounded and happier for it. Instead of the news or the newspaper, try to read something full of positivity or encouraging. Read pages from a book you enjoy, watch videos that can help give you the inspiration you need. This positivity that you can do in just a few minutes can carry on throughout your day. Feed Your Body: Feeding your mind is part of it, but you can’t forget about feeding your body. Make sure to give your body what it needs. Everyday, we are shown ads with messages about healthy breakfasts but most of us are opting to choose “healthy” versions of foods that are bad for us instead of selecting healthy options that are actually good for us. What we put into our bodies helps determine what we get out of them. Instead of a doughnut or frozen waffles, why not go for a vegetarian omelet or a vitamin packed protein shake? Plan Your Day: The majority of us will start each day without a plan or even a sense of direction that our day will take so we spend it reacting to things that come up. Instead, plan and write out, what you’re looking to accomplish for the day. 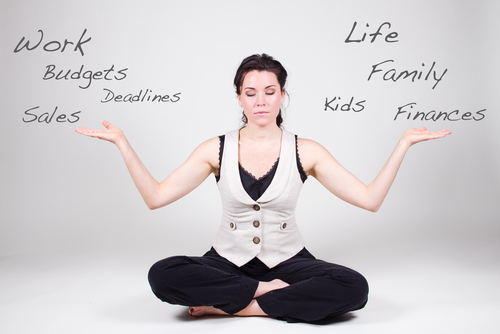 Not a laundry list of to-do’s but the top 3 or 4 things you want to get done that day. 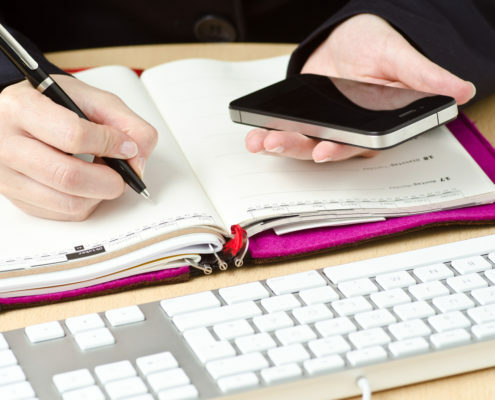 Writing it down will help your brain focus on the tasks for the day and increase the chance that you’ll be able to cross them all off your list. If you will just take a few minutes to plan out your day, you will see an increase in productivity – which makes us more content too. Smile: Last, but certainly not least, this is just as simple it sounds. Smiling every morning can have a great impact on your mood because smiling will help send signals to your brain and release chemicals that will give you the feeling of happiness. Smiling helps you appreciate each day and helps get your day off on the right foot. My husband knows the value of this – he smiles all the time! He has serious smile lines that he says he has worked hard to get. Just about everyone loves to be greeted with a smile. Hope you start to use even just a few of these. Or maybe you already do most of these but there is one or two you want to add. The benefits to your day are tremendous. By using just a few, you will notice an increase in your energy, your productivity and just feel happier! People around you will also notice a change. 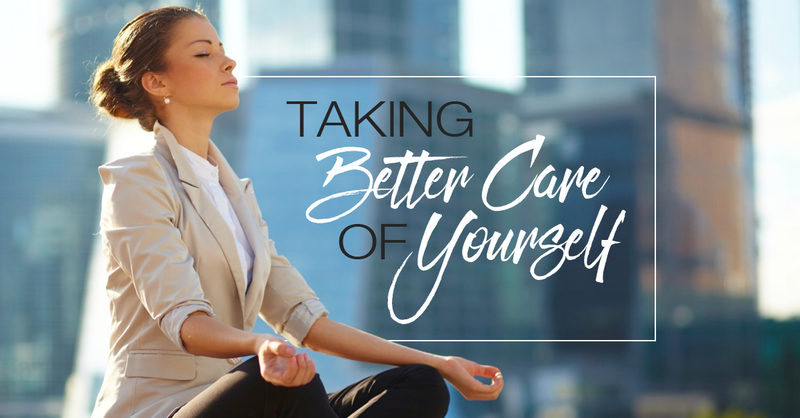 You’ll start to feel less stressed and more relaxed. Here’s to better mornings and more fun throughout the day because of a great start to the day! P.S. 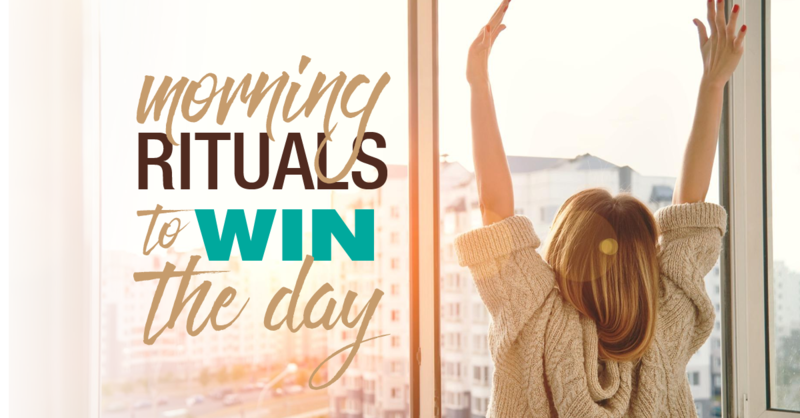 I hope you found my article insightful on Morning Rituals to Win the Day. If you liked this blog post, I think you will love my blog post on Productivity and Happiness Tips for Network Marketers. What I can do with these recaps is to learn what others went through; what they experienced and the events that occurred and to think about how those lessons could apply in my own life. On a more personal note though, I have found that a great use of my time is to recap and review the highlights that happened in MY own life in the past year. I actually love this exercise every year. In early January I spend an hour and go through my calendar to remember all the great things that happened. I encourage you to do the same. It is a great opportunity to relive the moments of your life and remember all the great things you did and all the great things you enjoyed. Start with Successes: Out of all the good things that occurred in your life, did you take the time to fully appreciate them? Were there any significant accomplishments that you achieved and that you were proud of? High achievers tend to miss the pleasures that come when you reflect on success. Spend a few minutes while you are remembering and celebrate the successes, the wins, and the moments. Look at Setbacks: Look at the setbacks that may have occurred. Did you learn any lessons from them? Did you make any changes in your behavior that will lessen or reduce any future setbacks? Do you feel that there is anything you could do now that may affect the difficulties that may have occurred? Life Relationships: Consider all of the important relationships that are in your life. Keep your focus on the truly important relationships. Recap all of the good memories you had with them. Now that you have remembered the great things from 2016 now look into 2017 to shape your ideas, set goals and solidify plans for how you really want your life to be. 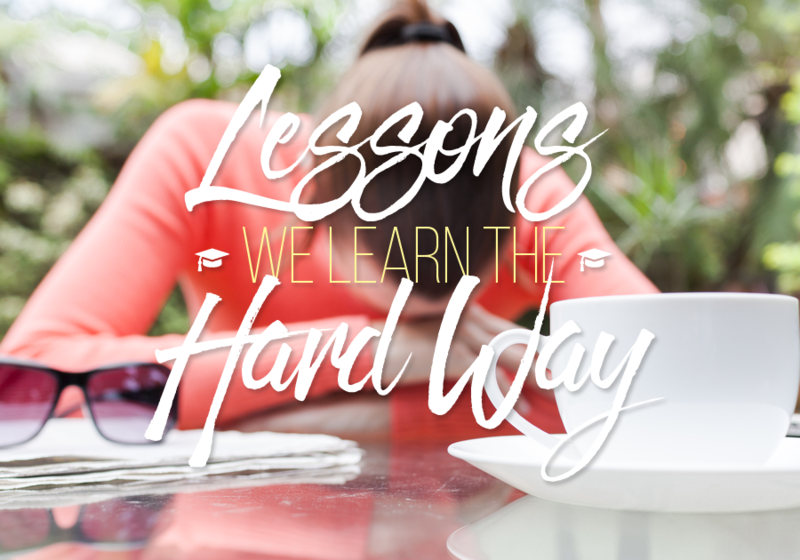 Use those lessons from the past to help create your successes in the future. Another exercise I do every January is I choose a word for the new year. One, two or three words that capture the essence of what I want the brand new squeaky clean year to be about. Last year the words for the year 2016 were Faith. Play. Laugh. I am not sure yet what the word for 2017 will be. I am thinking on it as I write this. I’d like you to think of a word that you feel best captures what it is that you desire for 2017. Write that word down. This word will be the basis of setting yourself up with 5 big audacious goals for the new YEAR! Come from a place of being inspired. Don’t limit yourself. Think about what it is you really want and then write those down. I refer to my goals and dreams at least every month. Who do you want to become? What do you want your life to really look like? How do you want this year to be different? What do you want more in your life? What do you want less of in your life? We really do create our lives. Life happens and we certainly don’t have control over much, but we can control our thoughts and our actions. I wish you all the best a New Year has to offer. P.S. I hope you found my article useful on welcoming 2017. If you liked this blog post, I think you will love my blog post on a Mindset for Business. It’s the most wonderful time of year where gratitude is on display for all to see. Why is gratitude such a GREAT thing? Gratitude above anything else puts all of us in a state of grace to feel good about what we already have in our life. The holiday season if we choose, gives us the opportunity to express gratitude in so many ways. Gratitude can be magical at this time of year. Maybe that is a big part of what makes this time of year what it is and without it we can feel lonely or lost. We all have things to be grateful for – even when we have to look for them or dig for them. At this time of year, we put ourselves in a bigger state of grace when we give gifts of appreciation and love to our family and friends, when we make more donations to people who need our help and when we take extra time to write special notes in holiday cards, just to name a couple. Increased feelings of optimism, joy and happiness. We are happiest when we are grateful! Strengthened immune system. We are healthier when we are grateful! Lower feeling of loneliness. We feel more connected when we are grateful! We sleep better with less anxiety. Even our Z’s are better when we are grateful! By practicing gratitude and thankfulness daily, even weekly, it can help better our perspective. We will attract more of what it is we want! I practice gratitude almost every day. If I think I don’t have time to write in my gratitude journal, then while I am walking or driving I will list out 10 things I am grateful for. When I go to sleep at night, I fall asleep thinking about the good things that happened that day that I am grateful for. Which means I fall asleep smiling. Sit down and write a letter to someone (not necessarily someone you know) and thank them for something they have done. This can make quite the impact on their lives and can increase their level of happiness, and yours. Even if you don’t send it (which I hope you will), it will increase the level of grace you feel inside. Reach out to 3 of the people you love and tell them how much you value them and what they mean to you. Too many people forget to do this and it can do wonders for the relationships you have with them, especially at this time of year. You never know how someone is really feeling until you peel back the layers and be with them. At the end of each week, find a quiet spot and reflect on the prior week. Write down five things that happened during the week that you’re grateful for. This little exercise can increase your optimism and your happiness right away! Make a list of everything you are grateful for. Write till you exhaust the ideas that come to you. Keep a gratitude journal and write 10 things you love in your life every time you can. Disrupt a stressful moment with a smile and remember what is good that is happening. Balance out your complaints with positive thoughts. Rein the negativity back in. I recently heard a word that I had never heard before: brutiful. The combination of life is brutal and life is beautiful. Life is truly both things and when we embrace both there is a peace within us that happens. We are living in uncertain times and now, more than ever, it’s important to be optimistic for a joyful and positive 2017. I wish you all the happiest last days of 2016 and from my family to yours, Merry Christmas, Happy Holidays and the Happiest of New Years! P.S. 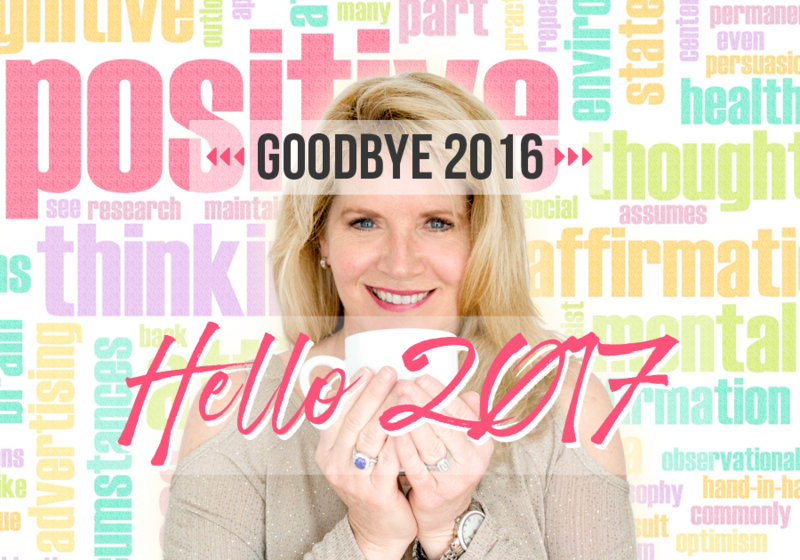 I hope you found my article useful on building gratitude for 2017. If you liked this blog post, I think you will love my blog post on How Being Grateful Leads to Success. In today’s world, many of us find ourselves blending families together. In fact, approximately 1 out of every 3 Americans are either a step-parent, a step-child or belong to some form of a blended family meaning over 100 million people. In network marketing, there are over 100 million people worldwide involved so there must be some overlap between the two. If you’re involved in this cross section then this blog post is for you! It’s also for anyone who wants to build a bigger business and still have fun interacting with their families and teams. Blending families, or building your team, is not always easy but it can be one of the best things that you’ve ever done. I know it was for me! So, I was thinking about how many of the personality traits that are needed to blend a family are similar, and handy, for building our business and I thought I would share these. Don’t set an agenda for who people should be or where they need to be. See them for where they are right now. Don’t sacrifice or adapt yourself in order to accommodate others. 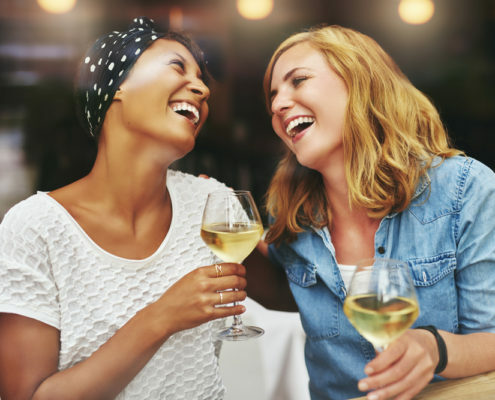 By meeting people where they stand, and being authentic, it will pave the way for honest conversations and true connections. Celebrate people’s strengths and downplay their weaknesses. Children need to know that you understand and like them. It doesn’t do any good if you’re always asking them to clean their rooms or empty the dishwasher. You have to focus on what is working and what is positive too. I can’t stand feeling like a nag and nobody likes to be on the receiving end of that either. This is the same for your teams. Focus on what people are doing well and look for those wins. A simple “good job” or “nice work” or “we appreciate you” can go a long way. Consistency. Be consistent with your actions when you’re either talking to your teenager about cleaning up the family room or speaking with prospects about the products or opportunity: consistency is key. When things are inconsistent, people can find situations difficult to predict and have a sense of lack of control. When you’re consistent in your behavior with people, this will create trust with them. Last, but certainly not least, if you care about a person, let them know how much. Whether it’s your kids, your mom, your prospects, or your team. People don’t care how much you know until they know how much it is you care and now during the holidays is a perfect time to take a little extra time to let people know they matter to you. I wish you all the best during the holiday month! P.S. I hope you found my article useful on how blending a family is like building a network marketing business. If you liked this blog post, I think you will love my blog post on How to Stay Focused During the Holidays. As you begin to build your MLM business, you will not be able to avoid the task of recruiting new prospects. Sometimes you may want to, but it won’t work…:) So how can you best maximize your time to focus on those that have the potential to be great MLM leaders? Over the last ten years, I have figured out there are a few key traits that you should be aware of as you go through your recruiting techniques. 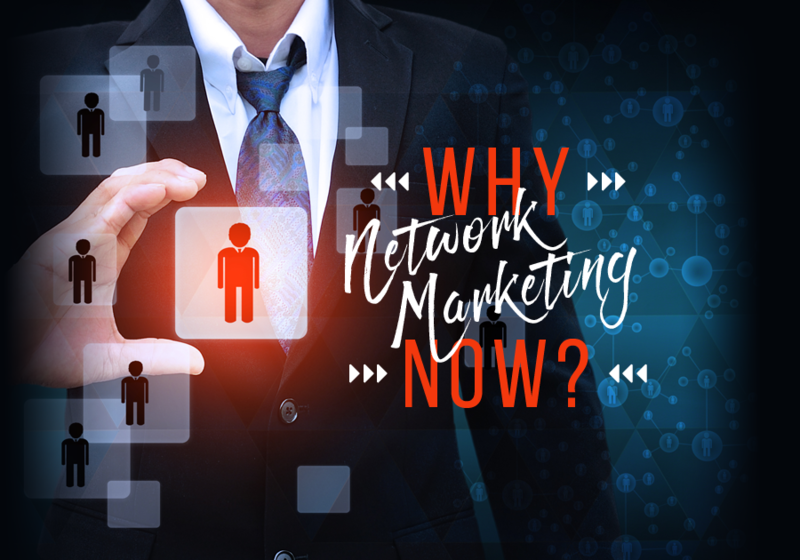 Previous Success: The chances of you being able to convince a fairly successful prospect to leave their current MLM network to join yours is highly unlikely. However, people who have success in another field are exactly the kind of prospect you should pursue. I was that prospect. 10 years ago I was brand new to network marketing but I brought with me my previous success in business and real estate. Any prospect who has some success in a previous field could be classified as a greater fit for MLM than someone who has dropped out of school and hasn’t had great employment history. We aren’t looking for the couch potatoes…Working hard and the desire to obtain goals are traits your MLM prospects must have. 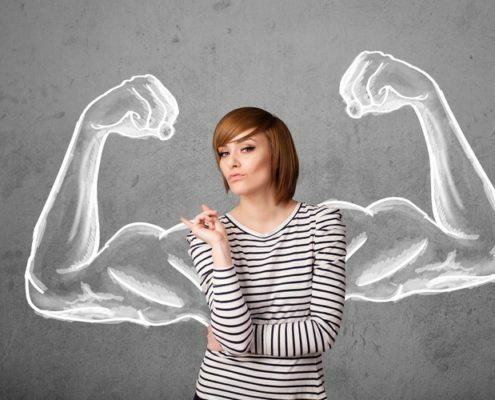 Ambition: Successful people tend to share this common trait. We are hungry, driven, and are just plain looking for more out of life. The status quo just won’t do and we tend to be visionaries, looking for the next steps to making a better life and how to achieve it. The prospects that possess this trait are a hot commodity so try to add as many people with ambition as you can. I have always been driven to succeed whether it was UC Berkeley, IBM, cooking school or investing in real estate. Look for people who have that drive. It will be so much more fun for you to work with them. And if you aren’t that ambitious person yet, then really think about what your vision for your life is and make a decision to go for it. Willingness to Learn: Regardless of where the prospect may be starting from, there’s a decent chance that there will be things that they’ll need to learn and be coached through so they have the tools to be successful. The prospect’s willingness to be coached and taught is a crucial element. As you discuss the opportunity with your prospect, are they cutting you off during the conversation? Do they seem to know everything there is to know about MLM? Keep in the back of your mind “Are they coachable?”. If they aren’t willing to learn anything or take your advice, then chances are they may not be the great prospect you were looking for. Keep that in mind for yourself too – none of us have all the answers and the more open we are to learning, the faster we and our businesses will grow. Entrepreneurial Mindset: As you first begin to interact with a prospect is when you should start to assess them and figure out what their motivations are. The important part is determining their mindset about finances and money. Do they think that making money is about having a job and getting paid or is it reflected more in an investment and profits sort of way? Don’t get me wrong. Wage earners play an important role in society but the hourly earning approach may not necessarily make them into the MLM leaders of tomorrow. It might but it might not. A person who has knowledge about owning a business or investments may be more likely to possess entrepreneurial qualities and have a better understanding of the startup costs that are required to begin and know that building a business doesn’t happen overnight. It takes time and the entrepreneur knows that and is willing to put the time in. If you have limited time for prospecting, then focus on small business owners. It is the best use of your time! Upbeat Attitude: You won’t like being around or be willing to coach prospects with a negative attitude. It can be difficult to be around people that have a constant pessimistic outlook on life. 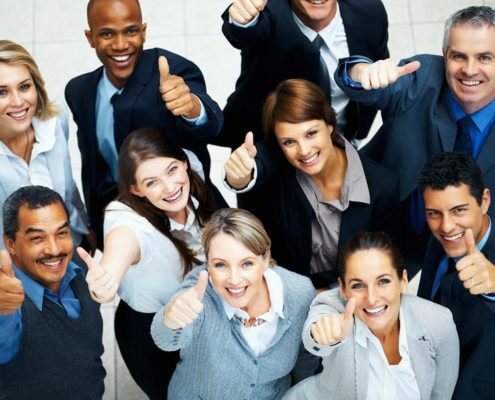 Our MLM business works so much better with people that are upbeat and positive. Those negative people will need to have a huge change in their mindset in order to make it work. Make sure to pursue the prospects that possess that positive outlook already because it’s those people that will potentially have an easier time prospecting themselves and won’t be discouraged at the first signs of difficulty. And if you have a debbie downer attitude, get to work on seeing the cup is half full instead of half empty. At least half full. Self Starter: These are the type of people who will go out there and get things done. Having people that are self-motivated as part of your team will prove to be a great asset as they are capable of identifying their own strengths and weaknesses. Self-starters aren’t waiting to be told by anyone on what their next steps should be. They recognize what paths are needed to be taken and take action. These prospects will typically show the most enthusiasm. I was a self-starter in this business 10 years ago. I didn’t know what I was doing but I didn’t wait for someone else to tell me. I figured it out. If you have a great upline and training system to tap into, then by all means that is a great place to start but don’t tell yourself you won’t make it if you don’t. It is amazing what we can achieve when we decide to. I am so glad I decided! Communication Skills: Prospects that have the ability to communicate clearly are a bonus to any downline. Communication is more than being able to relay the messages they’re trying to convey but listening as well. We want to listen twice as much as we talk. Ask great questions. Draw people out. Show interest in what they are saying and being able to effectively express your own thoughts through verbal and non-verbal cues is a skill that can help grow any MLM business. Look for people who are good at talking to people and care about communicating in a positive way. These are what I consider the most important traits to look for during your prospecting time. Keeping them in mind as you speak with people will steer your efforts and time towards those who can help you get where you want to go faster and with more fun! P.S. 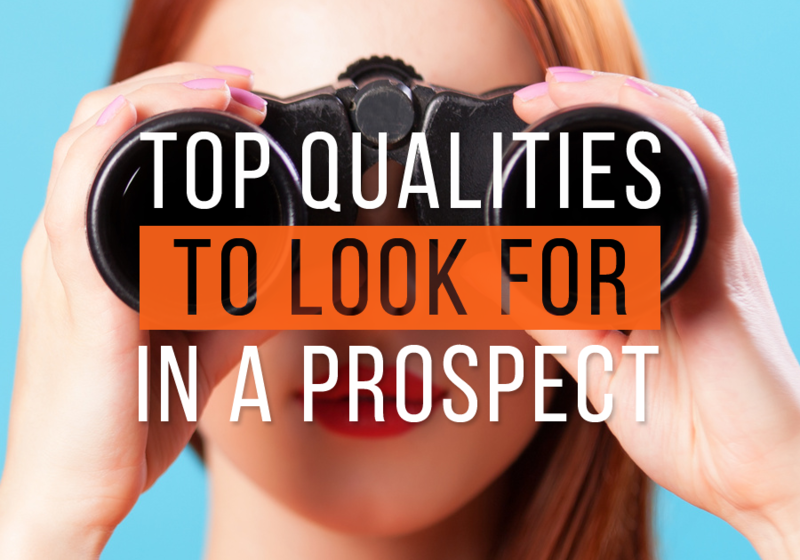 I hope you found my article useful on the Top Qualities to Look for in a Prospect. If you liked this blog post, I think you will love my blog post on How to be a Better Sponsor.